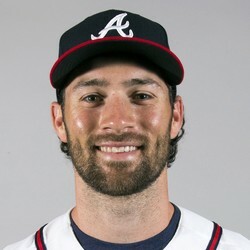 Charlie Culberson hit a pinch-hit two-run homer on Saturday. Culberson could see some playing time in the field every now and then if the Braves want to give the injury-prone Josh Donaldson some days to rest. He's a better play in real life baseball than for fantasy purposes.